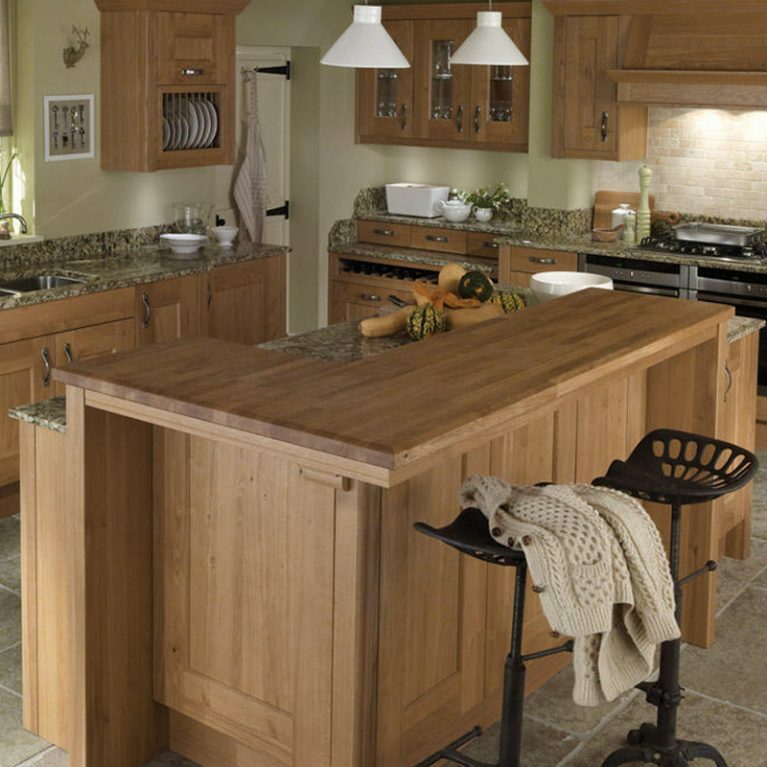 If you want a real wood kitchen that will stand the test of time, then you simply need look no further than the Broadoak. 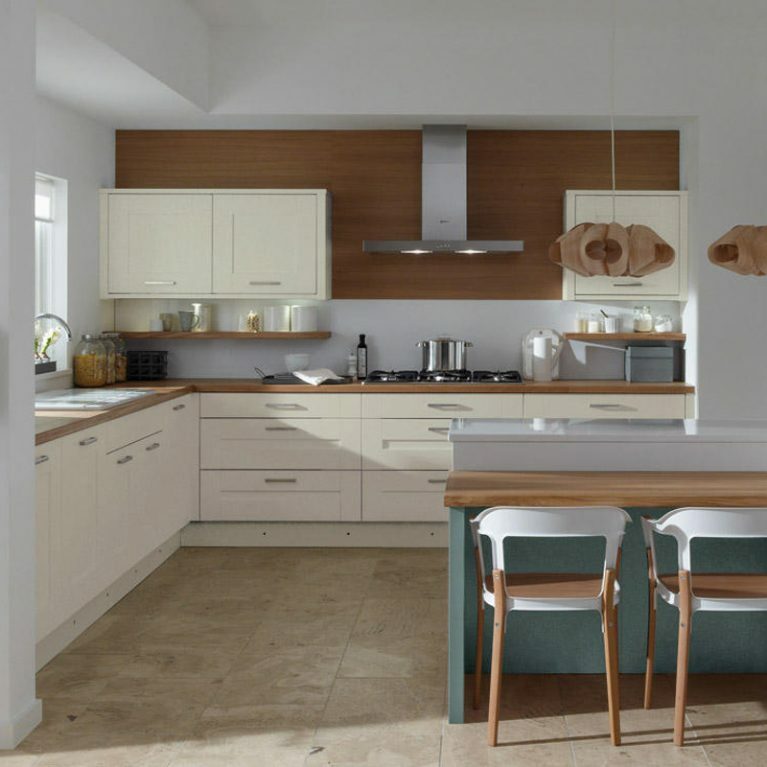 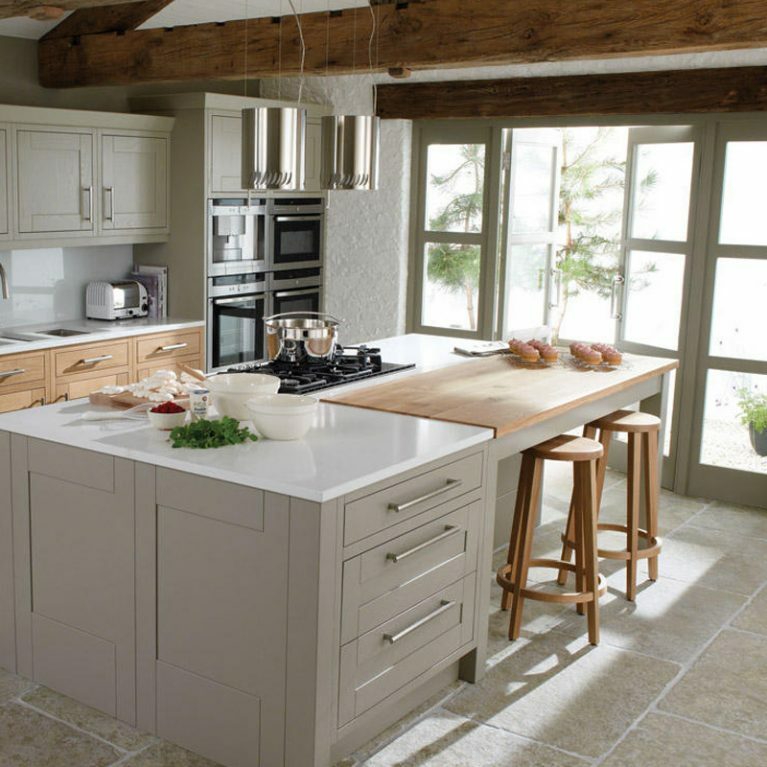 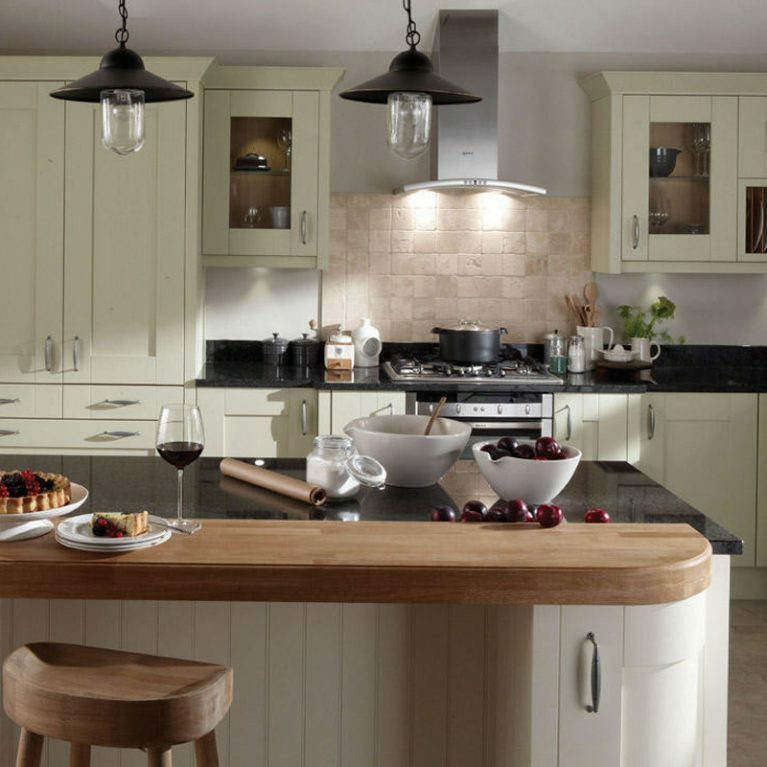 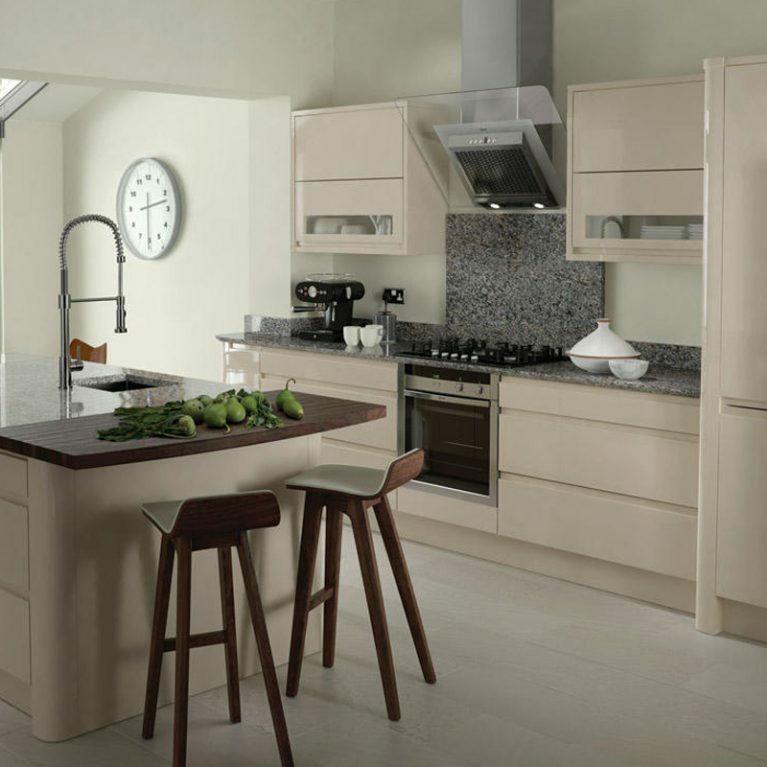 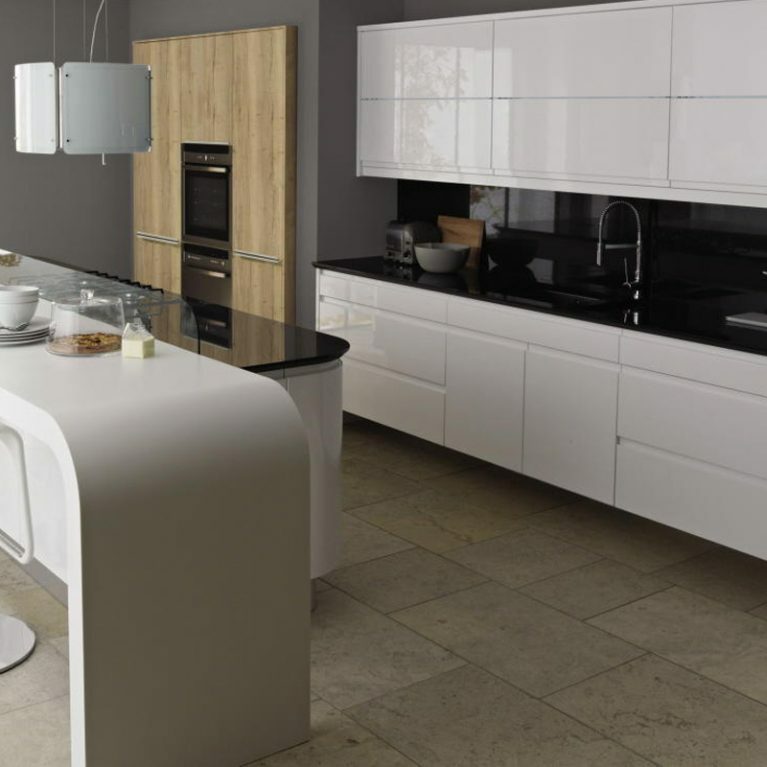 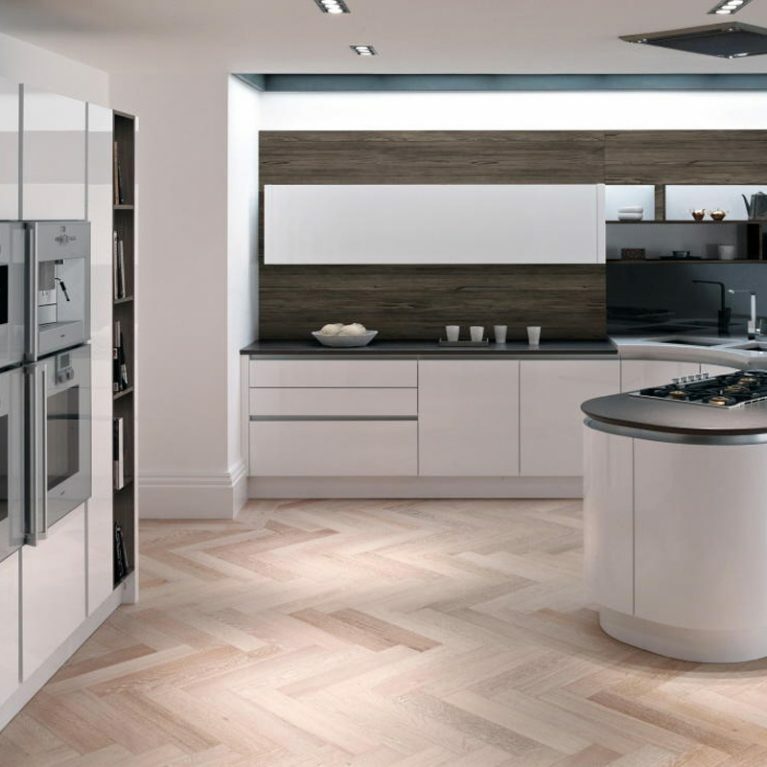 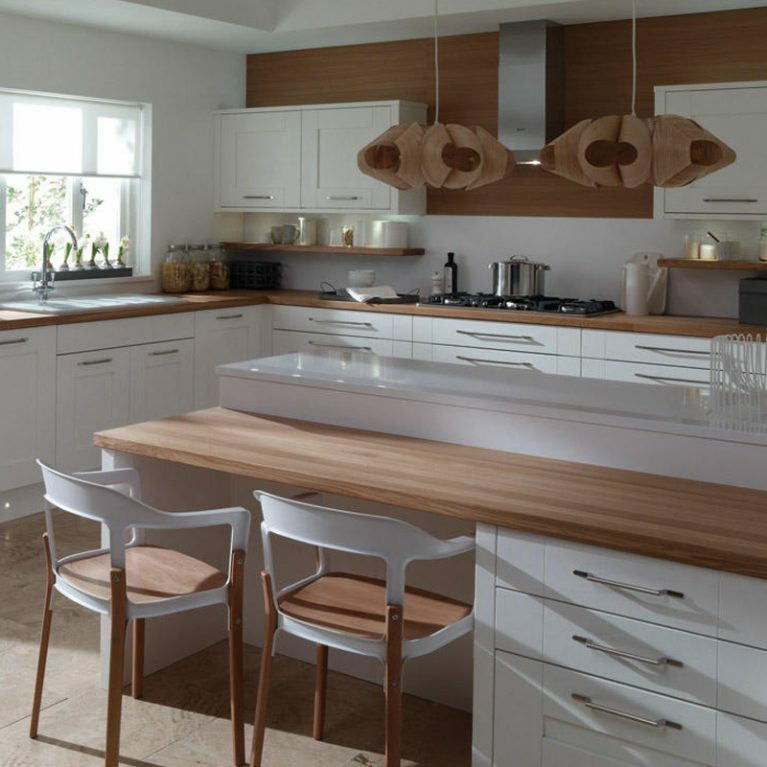 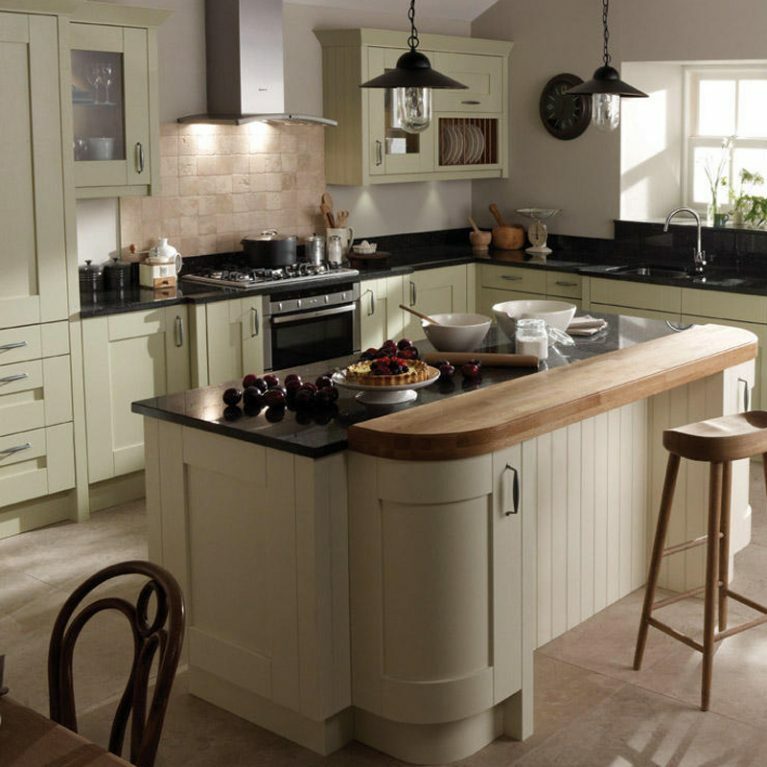 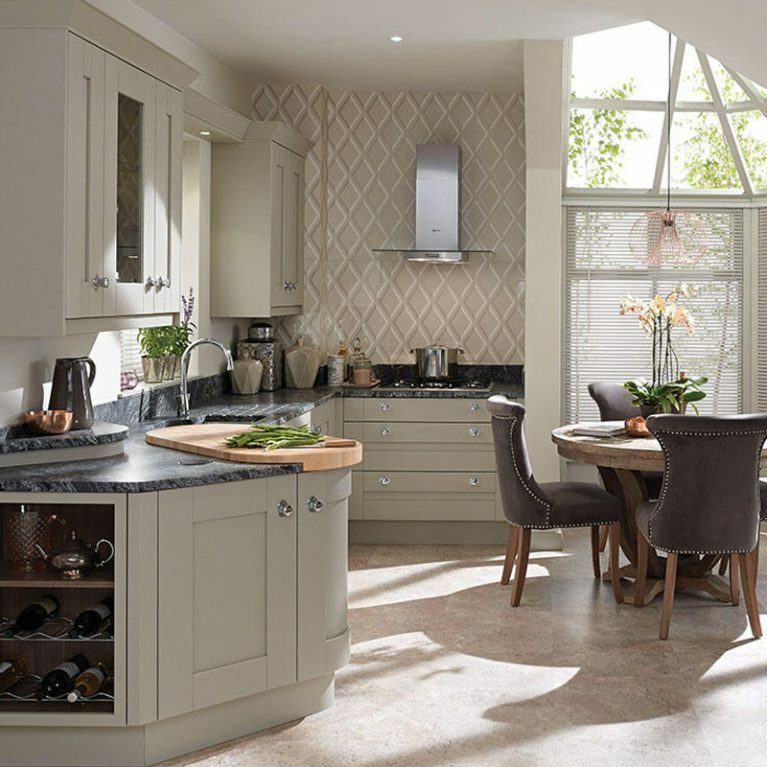 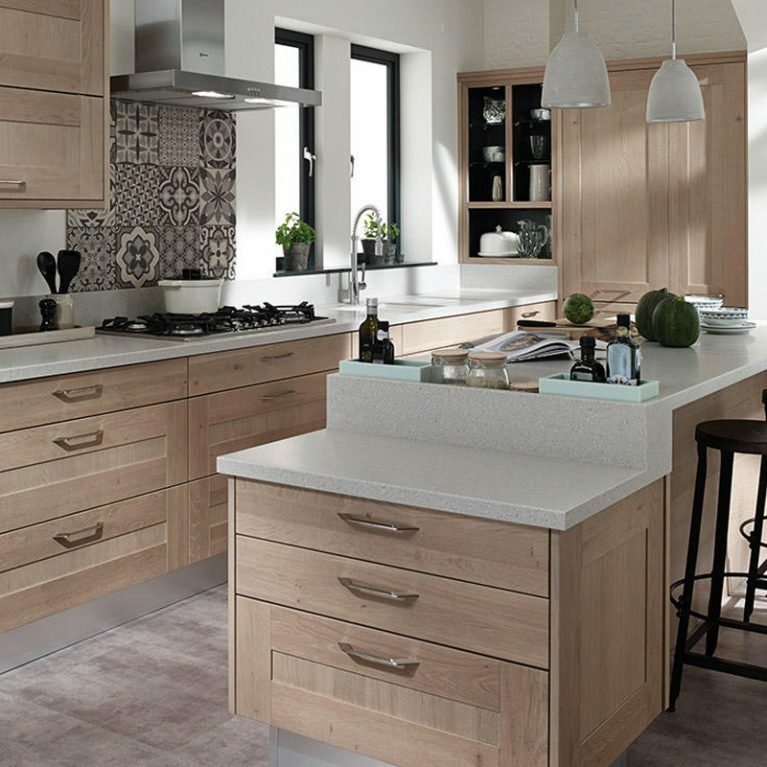 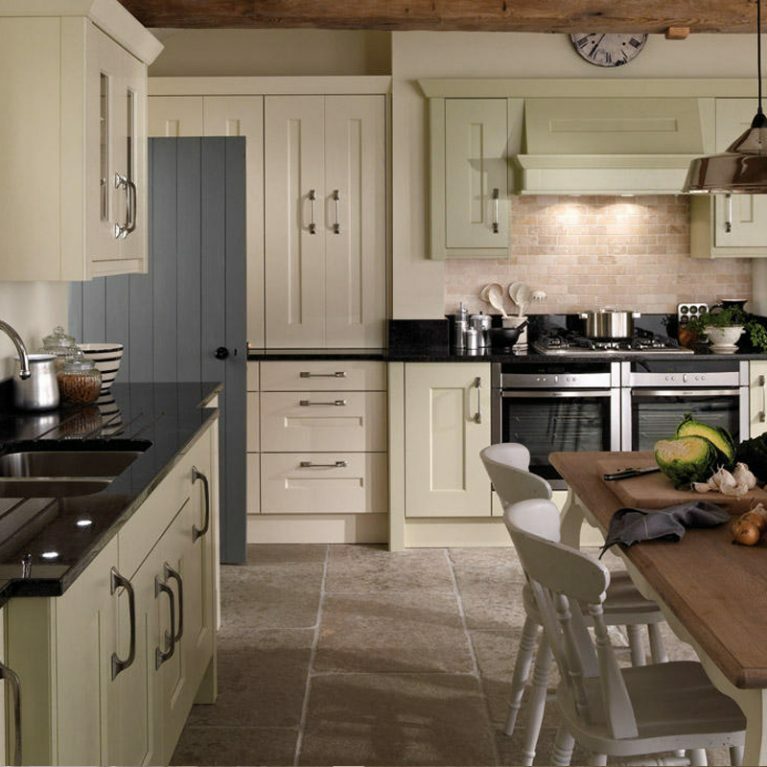 Broadoak Stone is a stunning contemporary real wood kitchen which has a beautiful painted stone finish. 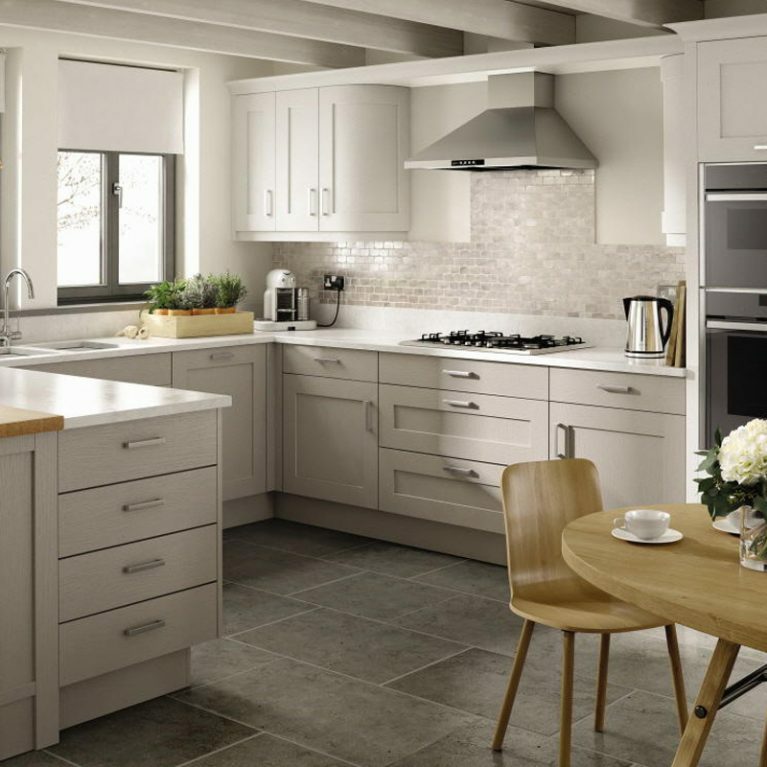 Stone is a wonderful off-white shade with a slight grey undertone, creating the perfect neutral foundation for any kitchen colour palette. 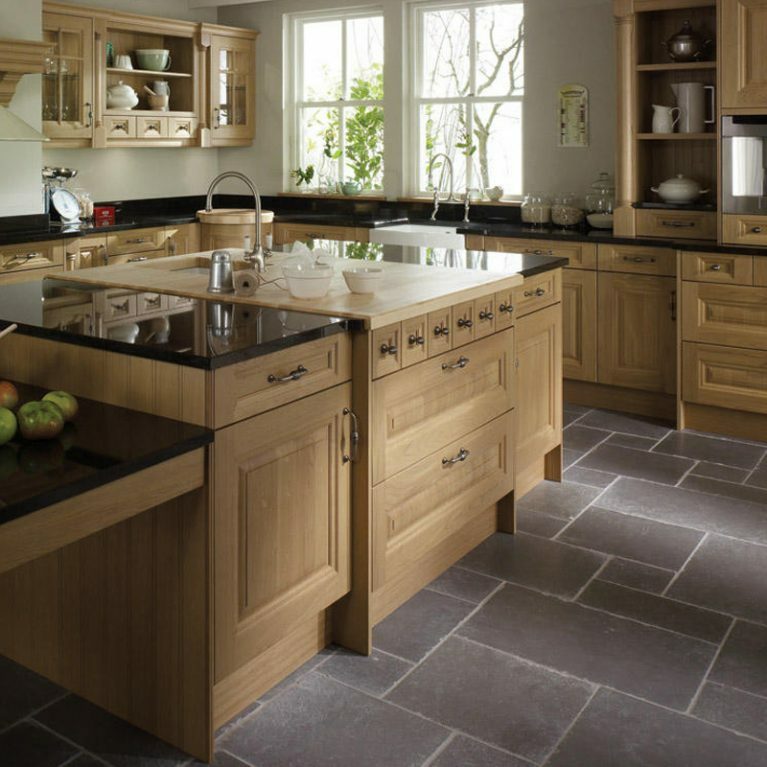 Having said that, the stone shade is so unique that it will be the perfect focal point for your kitchen on its own. 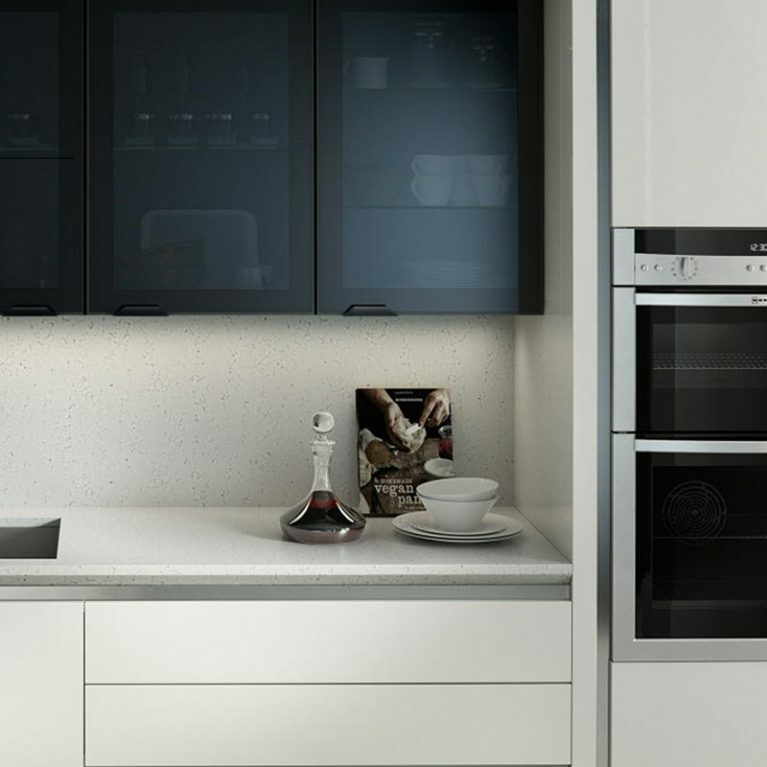 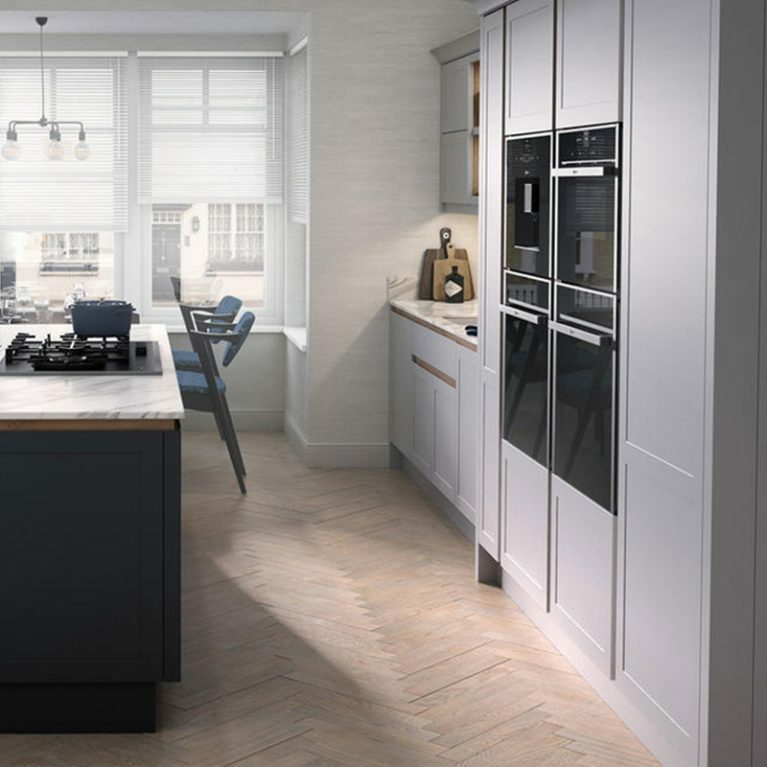 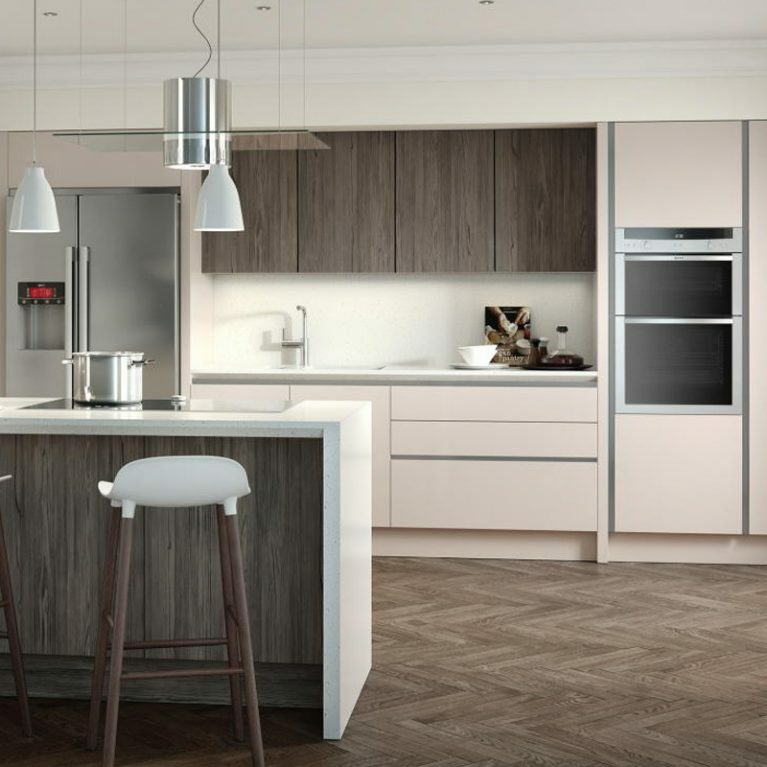 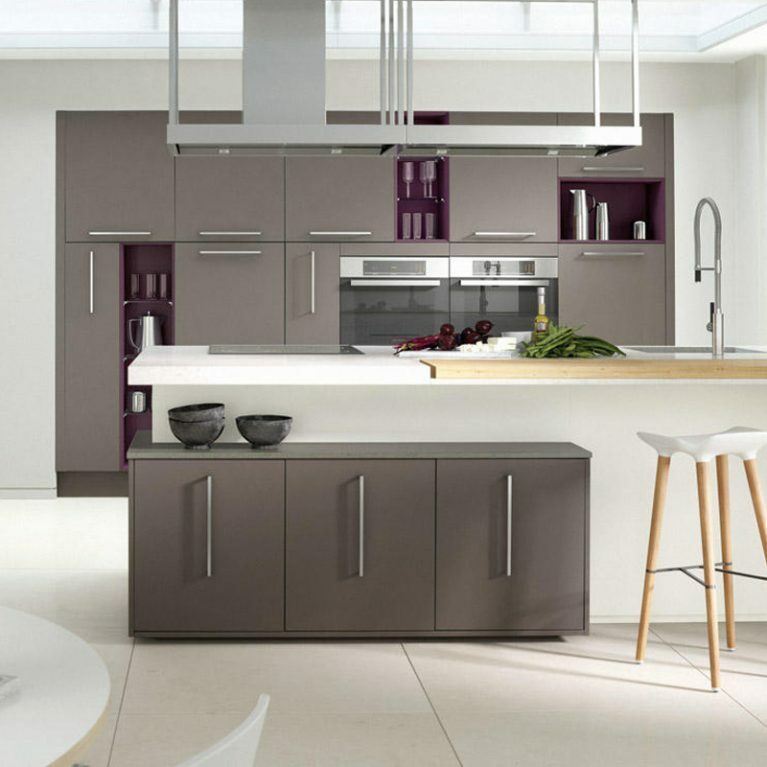 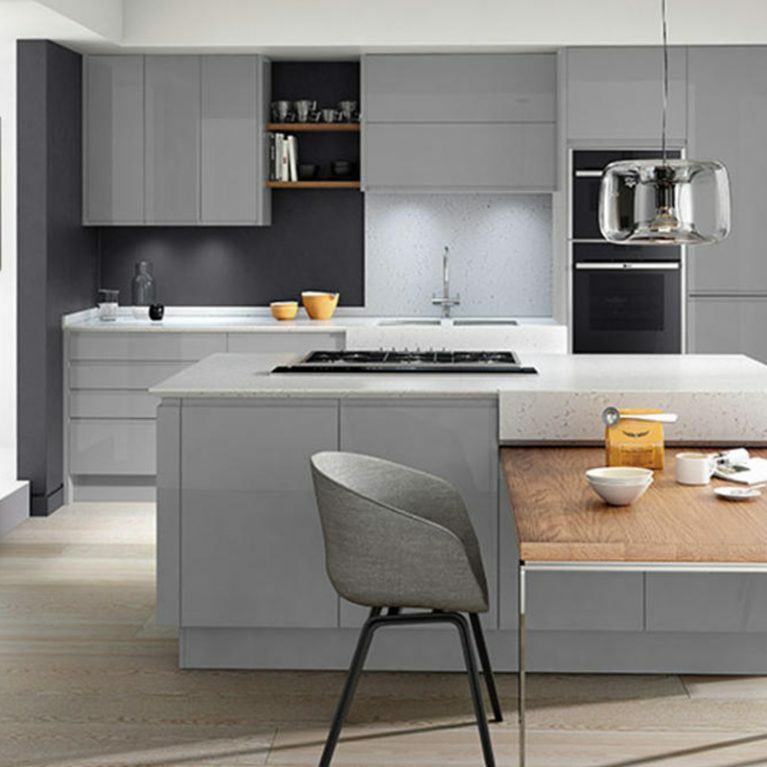 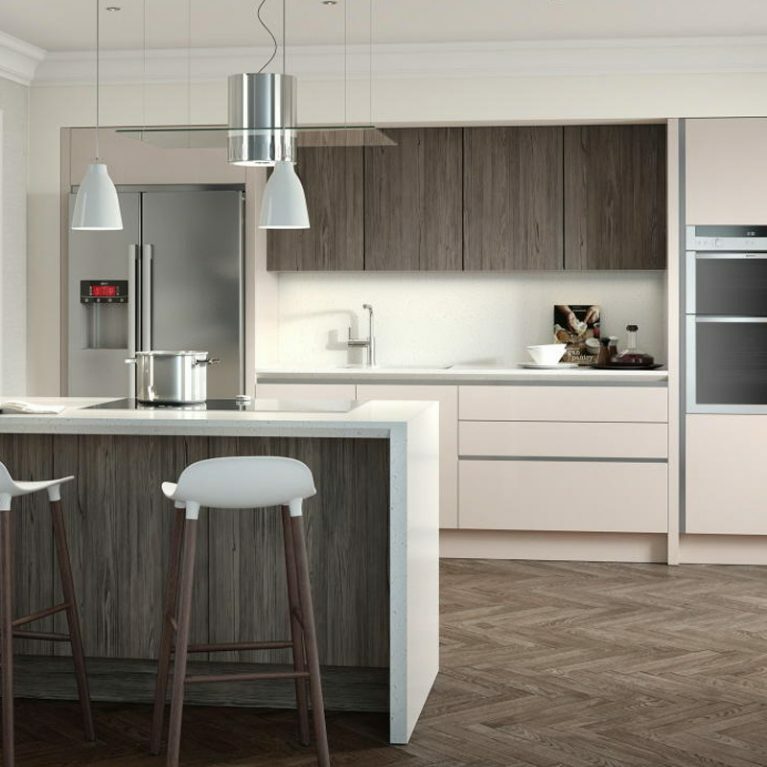 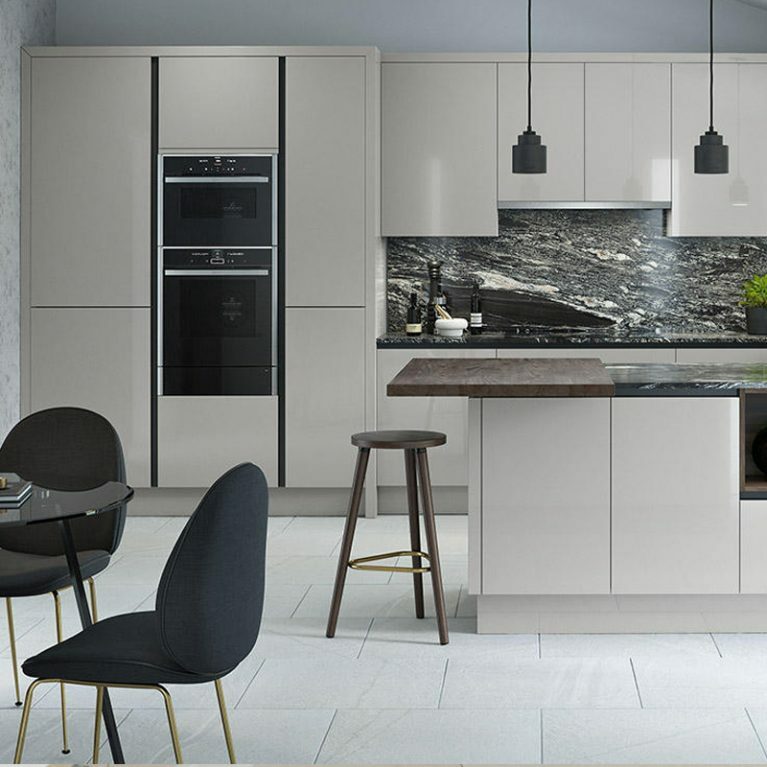 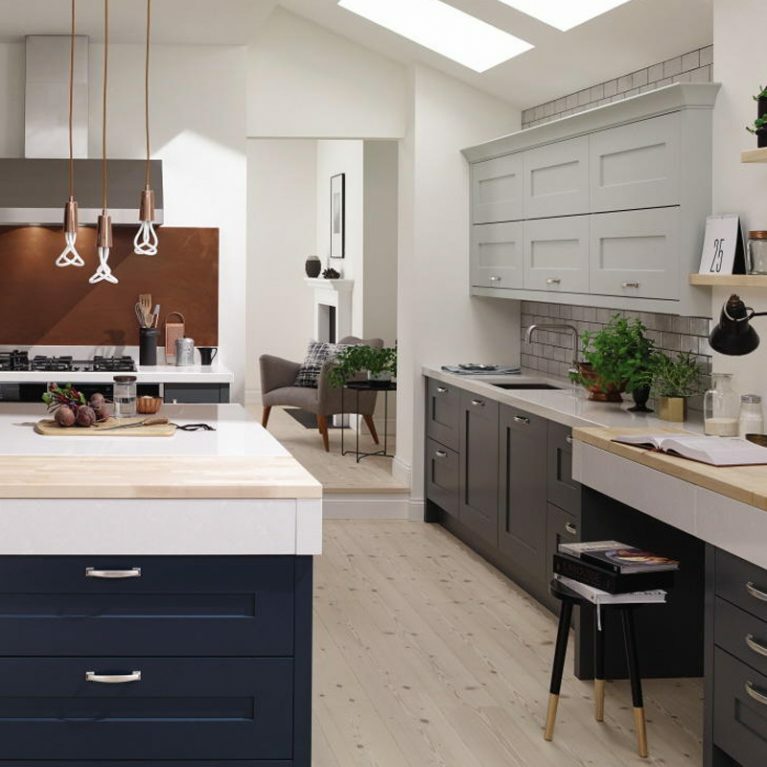 With 27 different matte shades available, you can truly make your Broadoak kitchen your own, with your favourite colours and shades bringing your dream kitchen design to life. 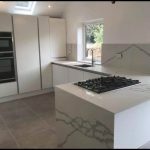 You can also choose your ultimate work surface as the perfect contrasting feature to your Broadoak Stone contemporary real wood kitchen. 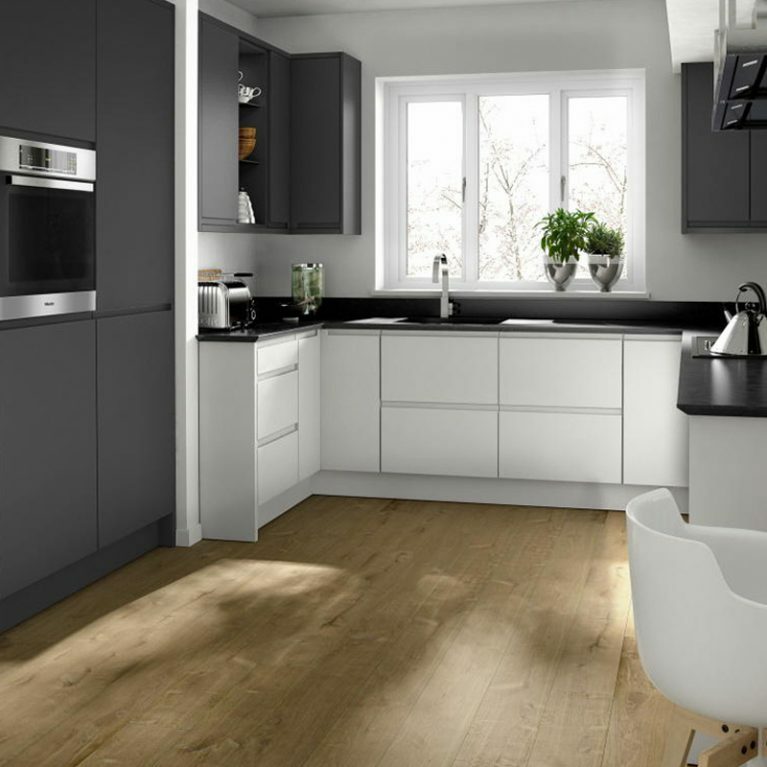 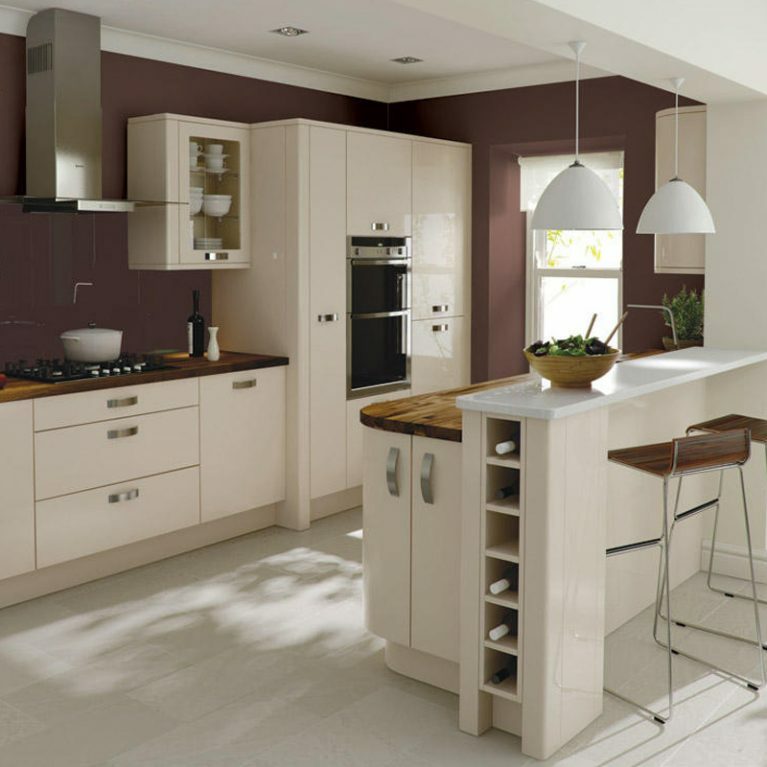 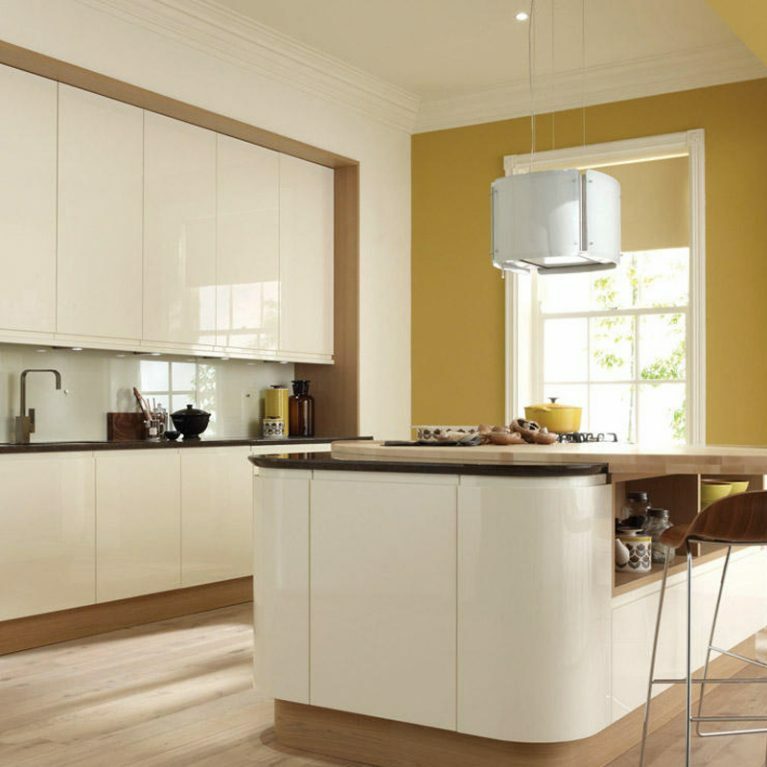 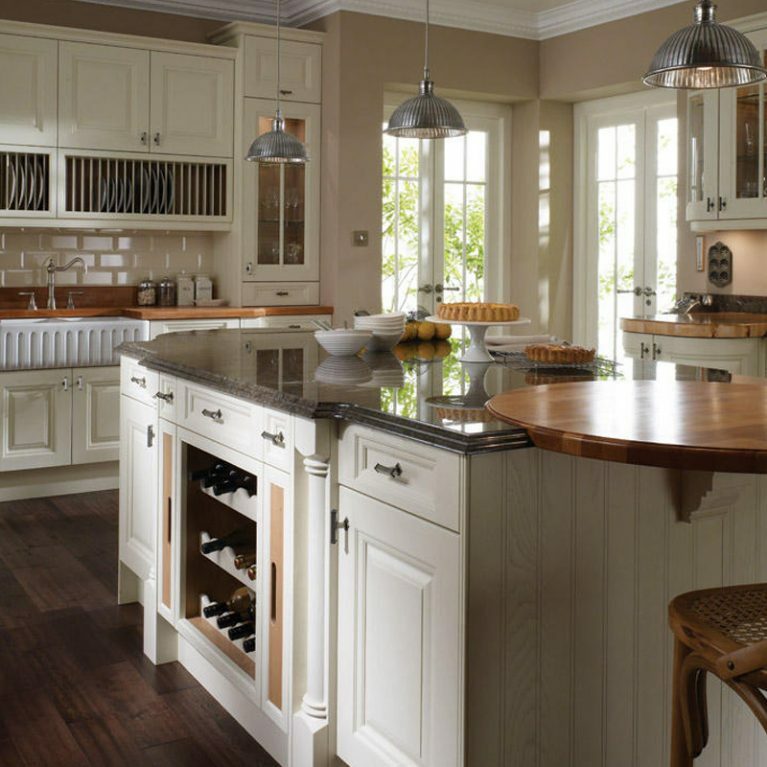 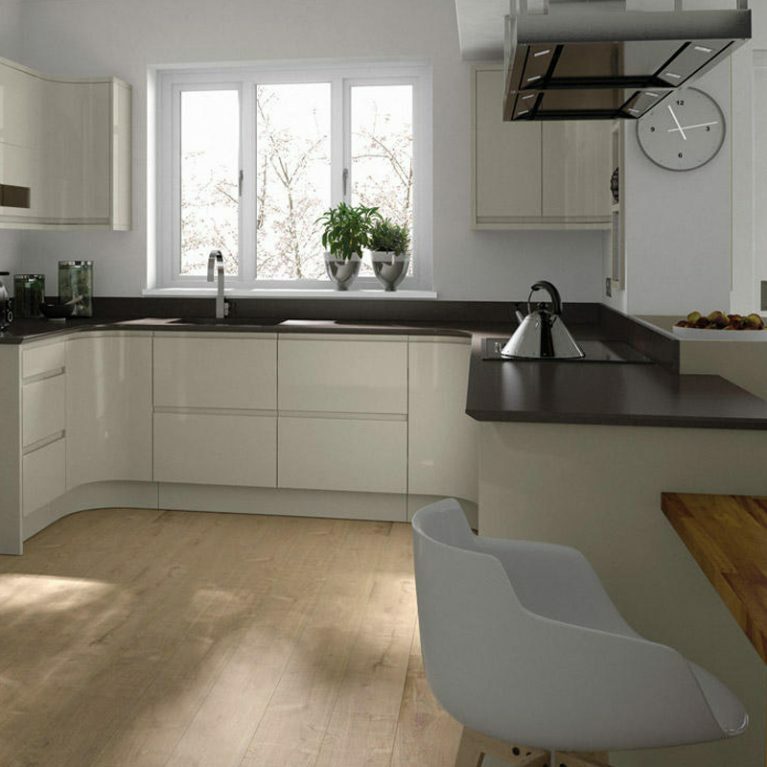 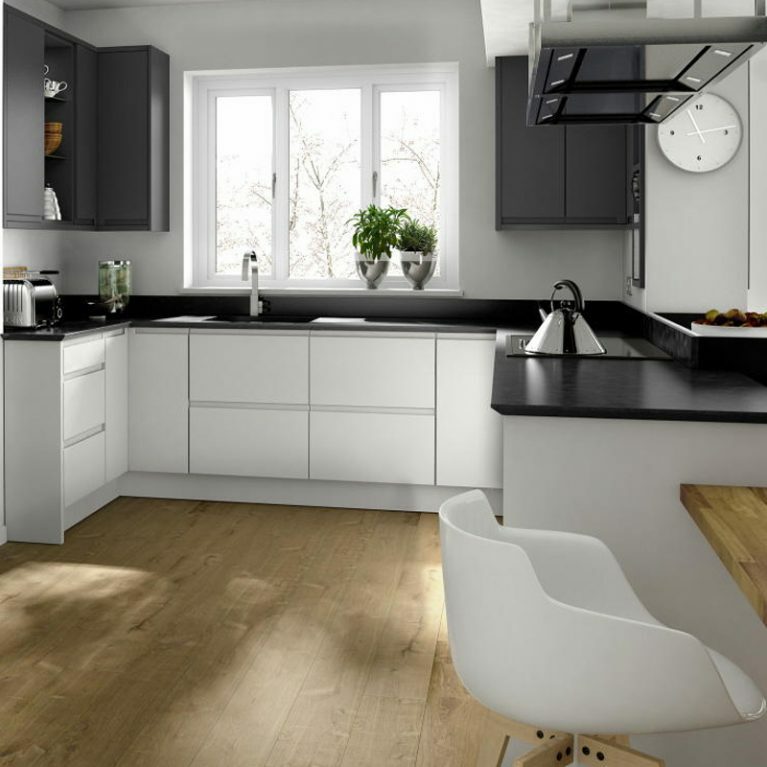 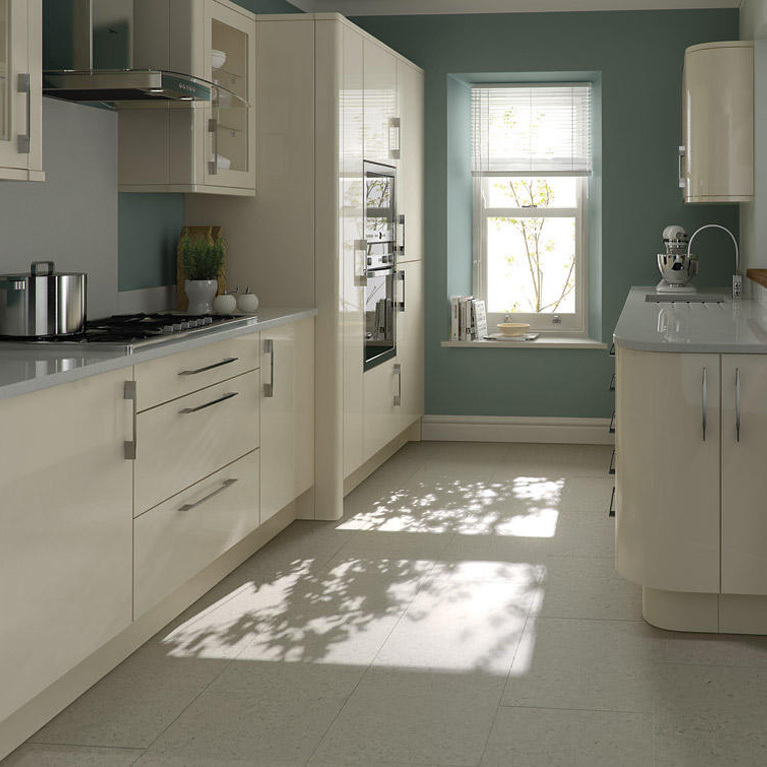 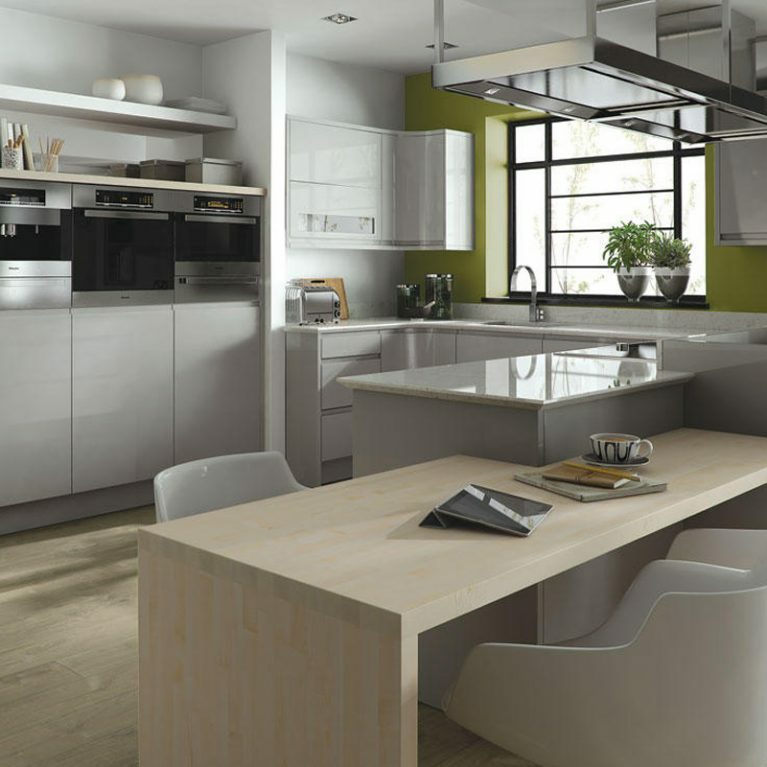 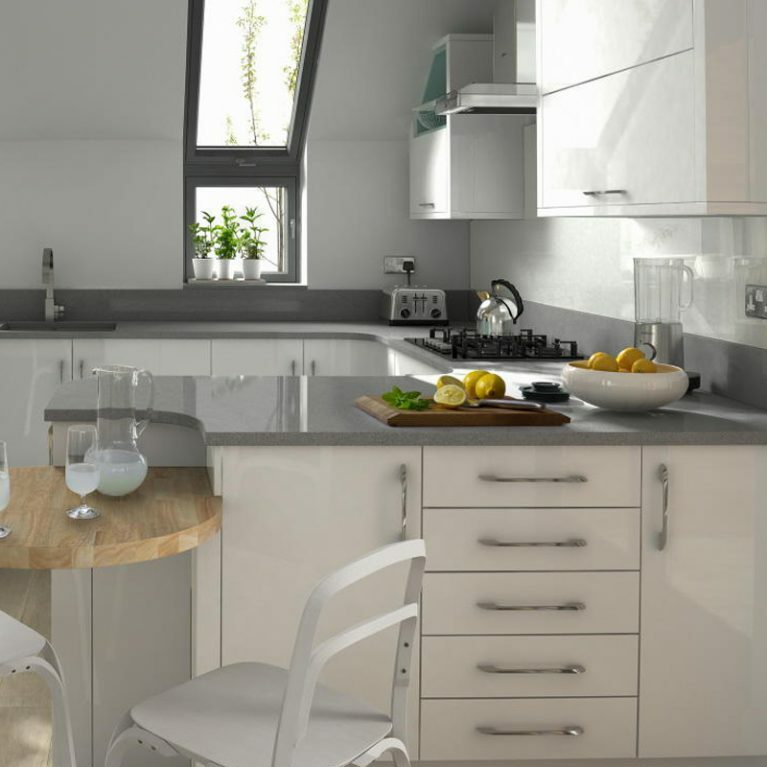 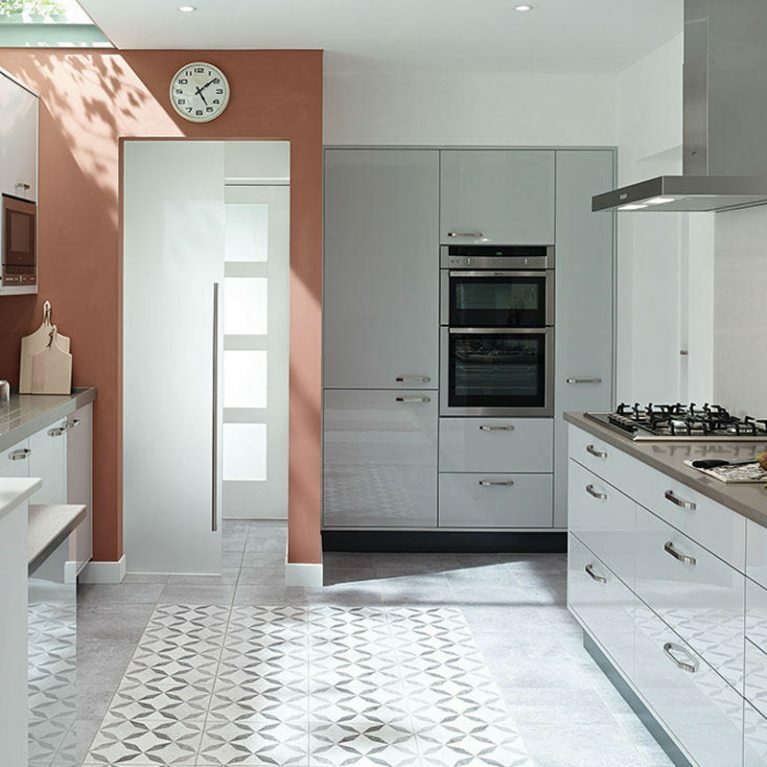 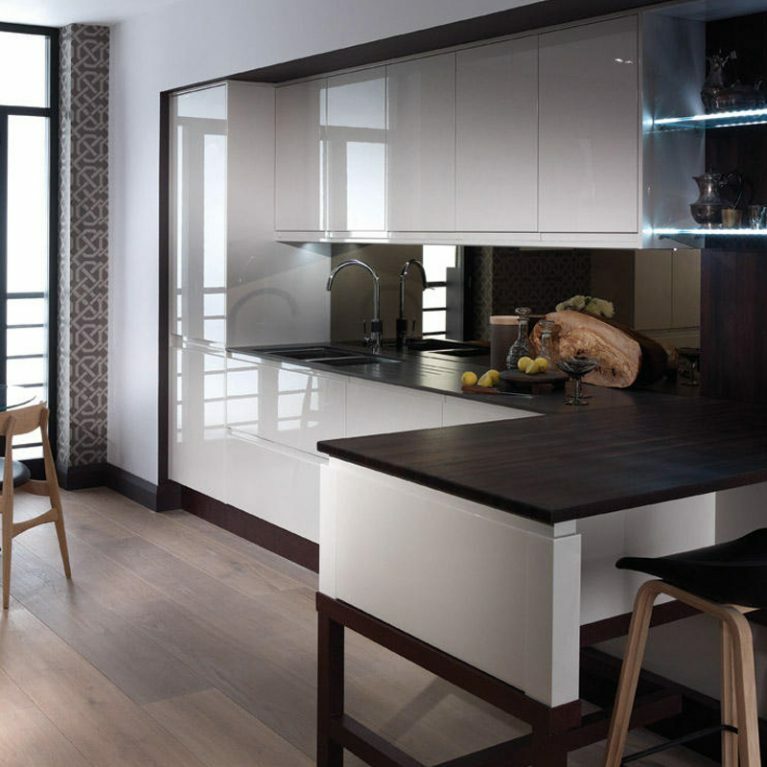 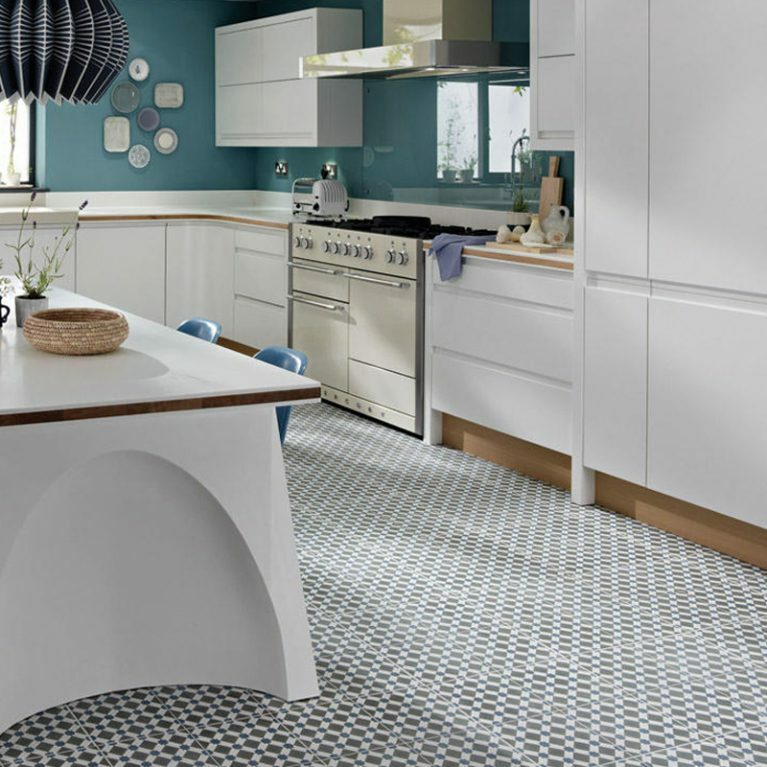 Why not choose a contrasting shade to create a little drama in your kitchen space? 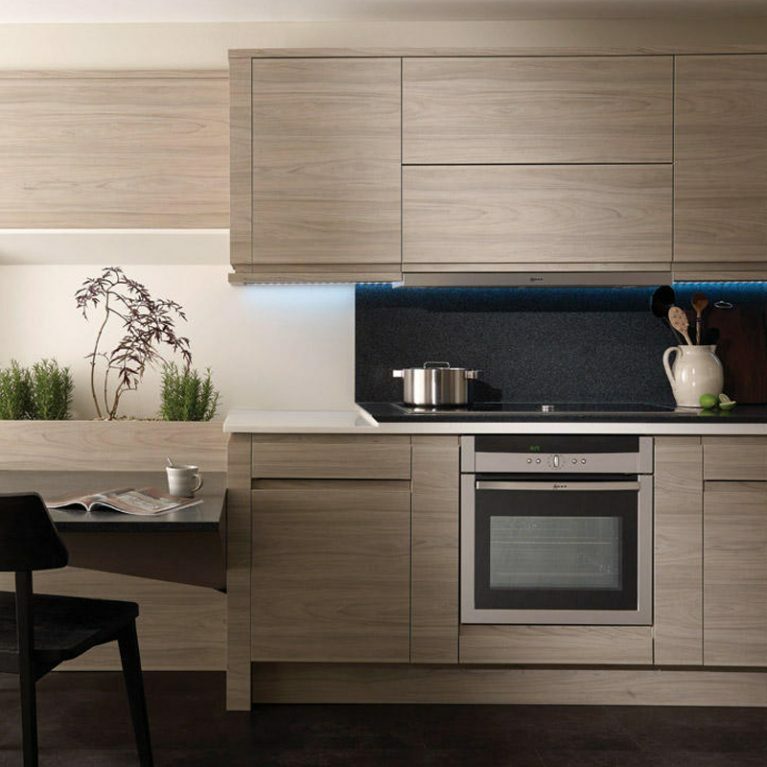 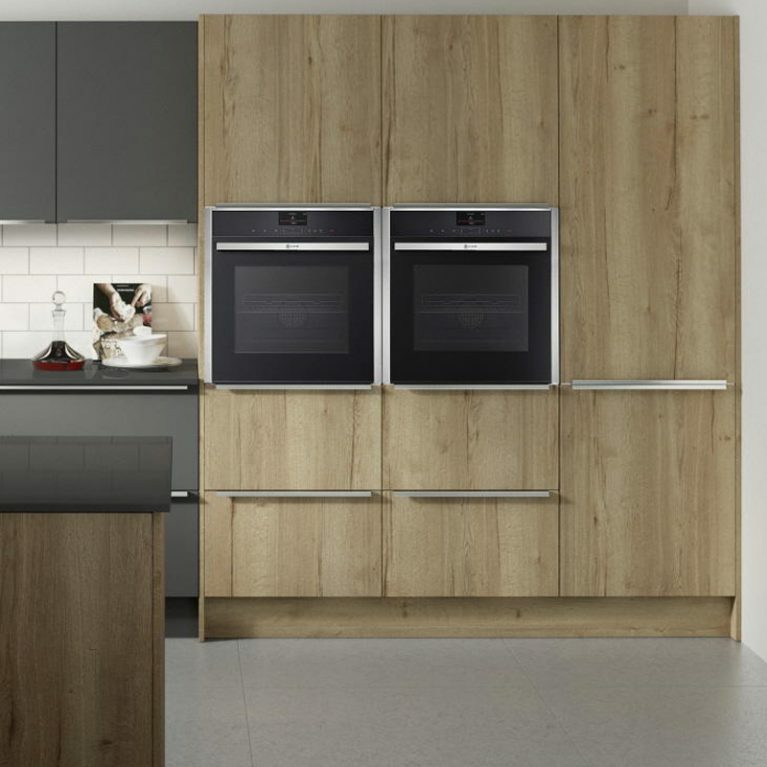 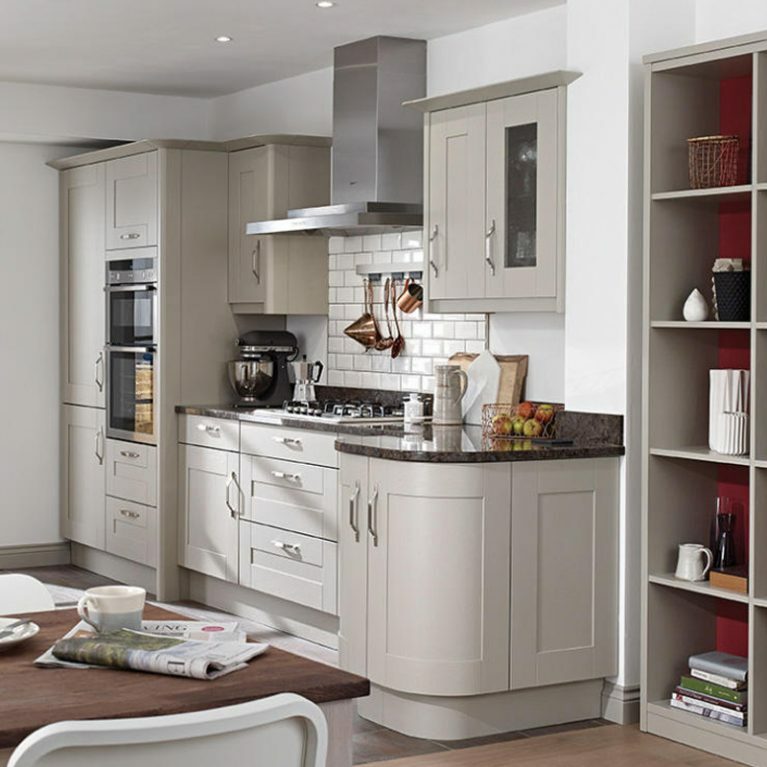 The curved base unit of the Broadoak Stone contemporary real wood kitchen not only adds a wonderful silhouette to your contemporary kitchen design, but also offers an incredibly practical solution for storage. 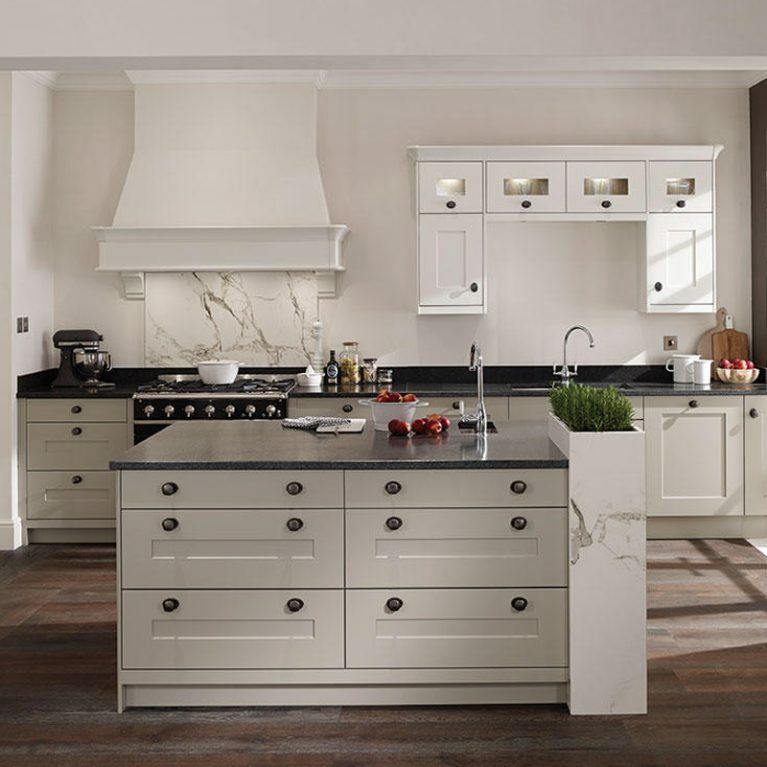 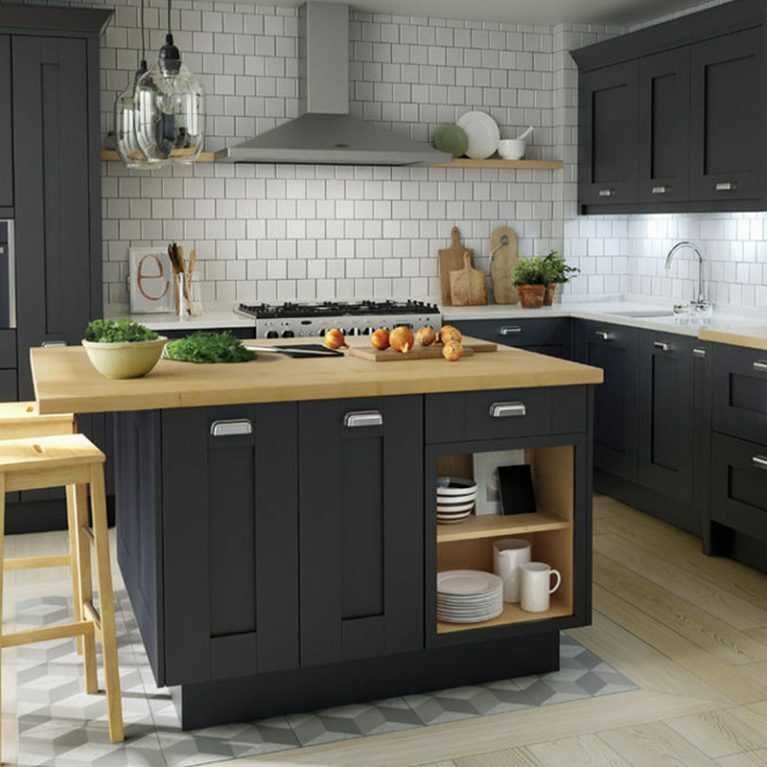 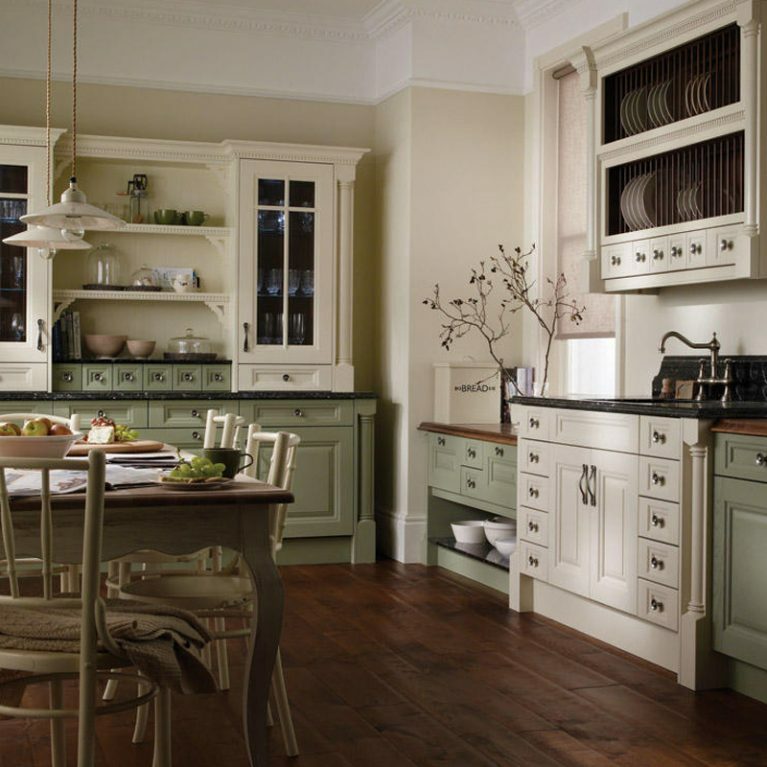 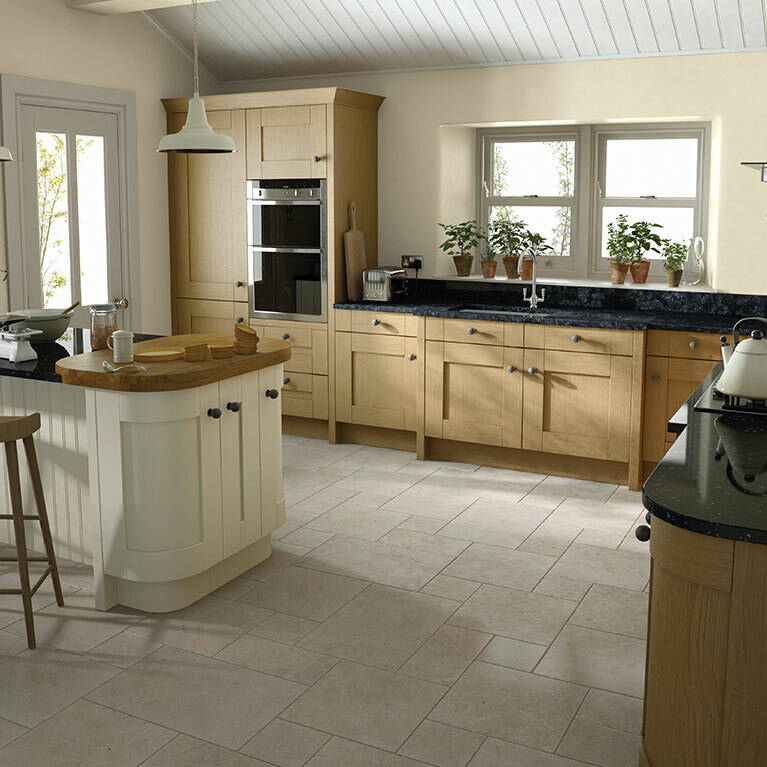 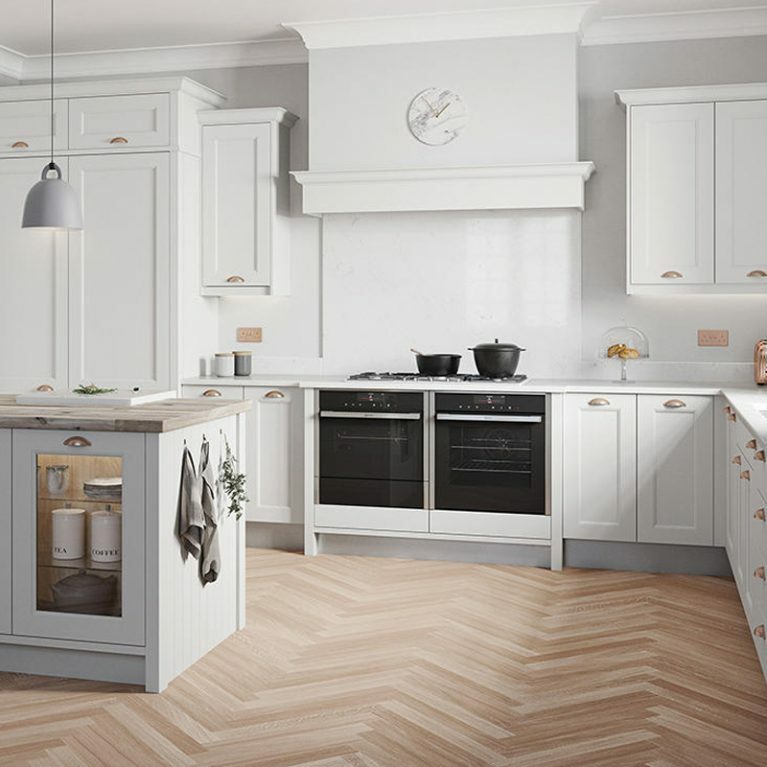 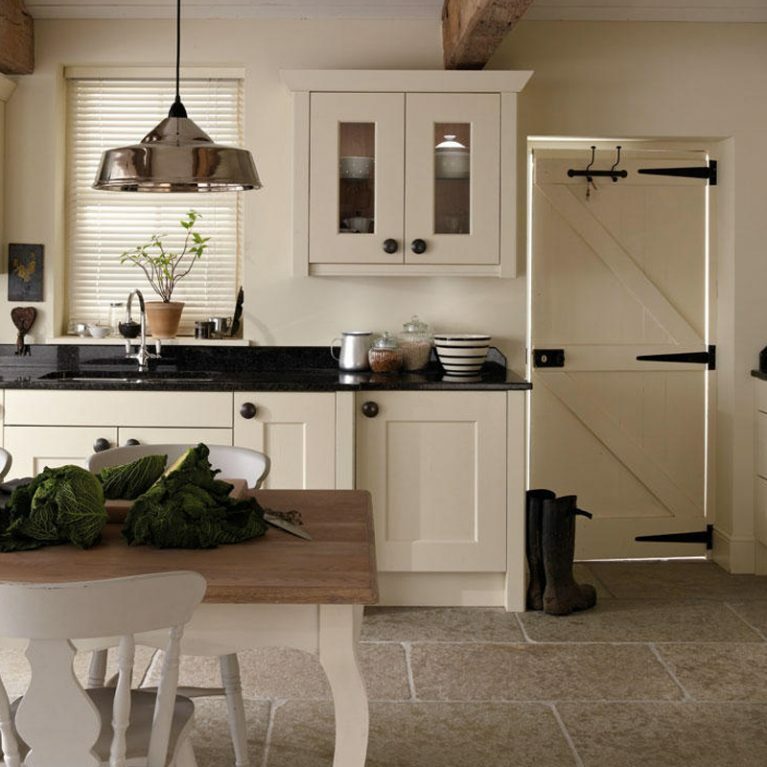 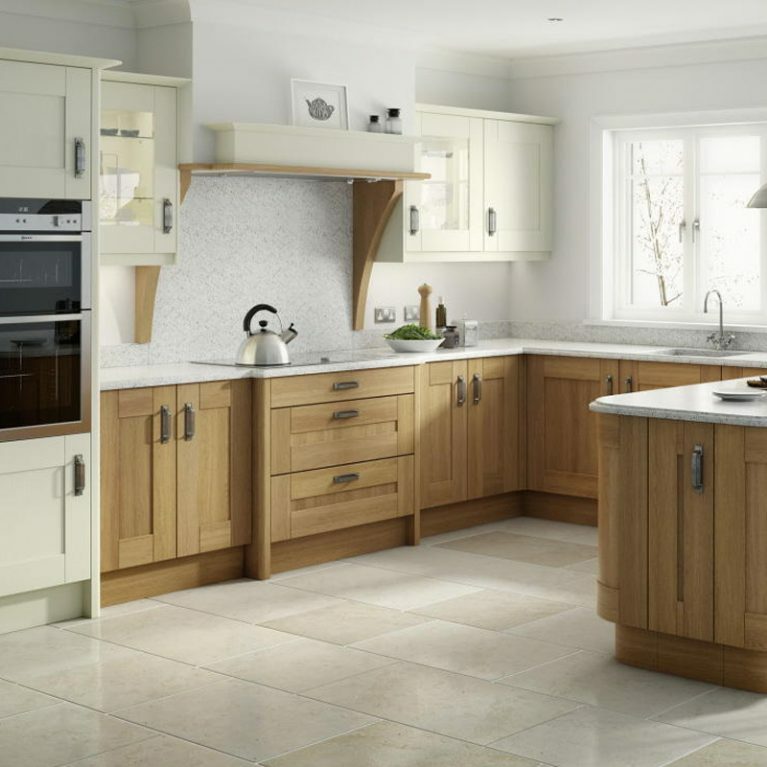 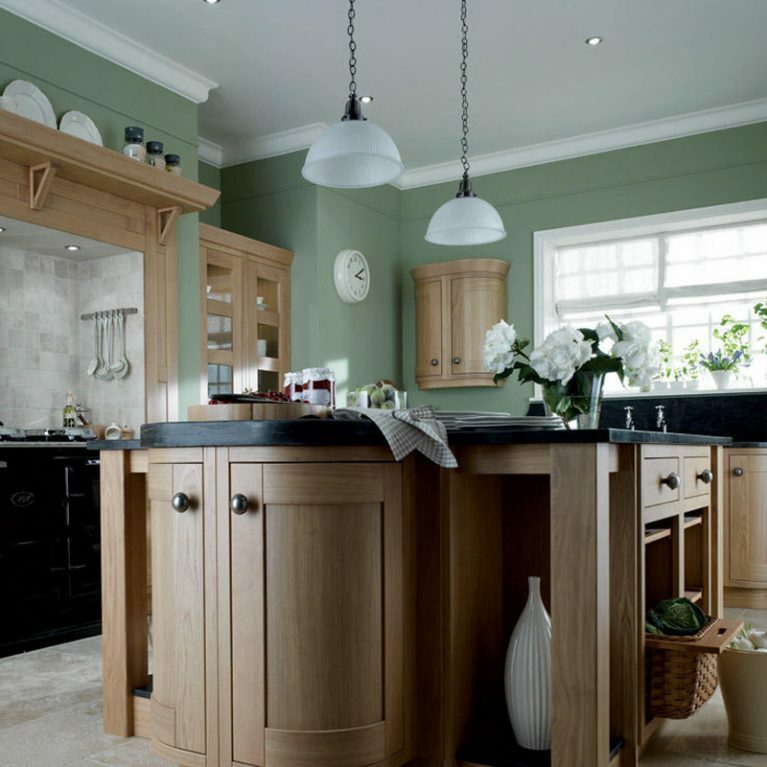 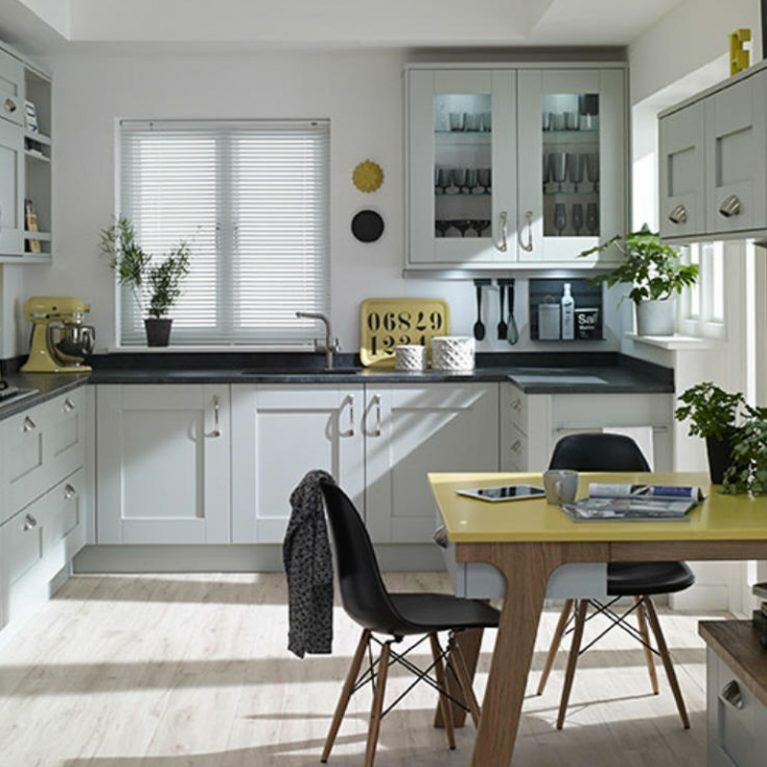 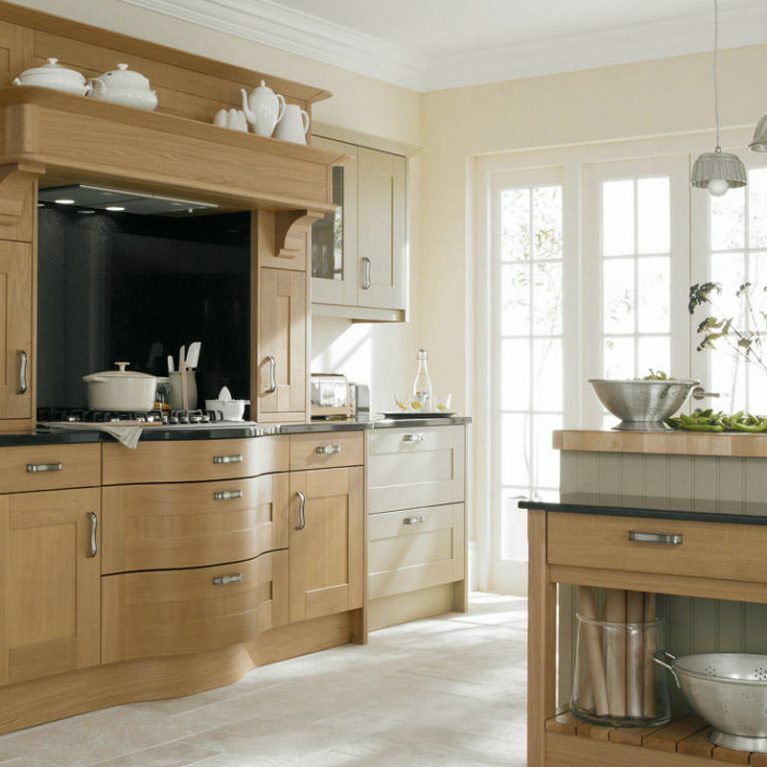 Broadoak is a classic shaker kitchen style which offers a multitude of storage opportunities. 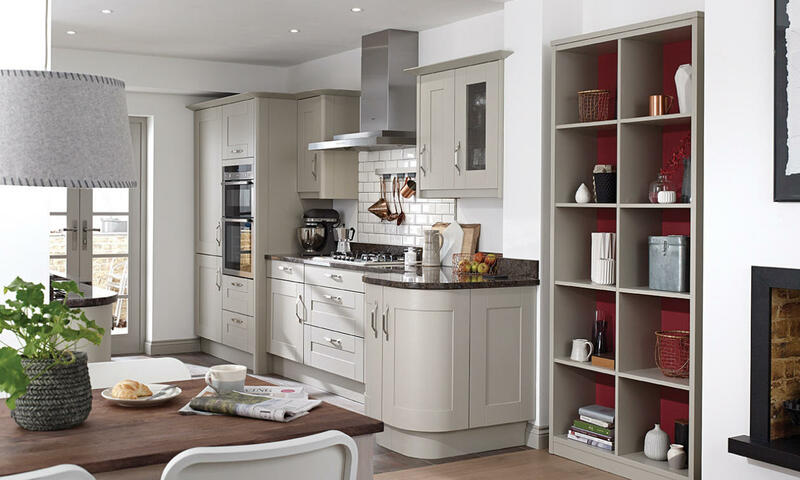 From drawers to open shelving, cupboards and more, you’ll find a home for all of your kitchen goods and accessories in the Broadoak Stone. 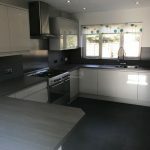 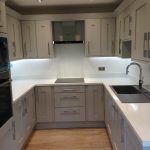 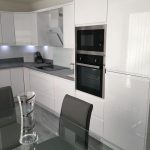 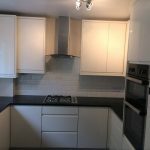 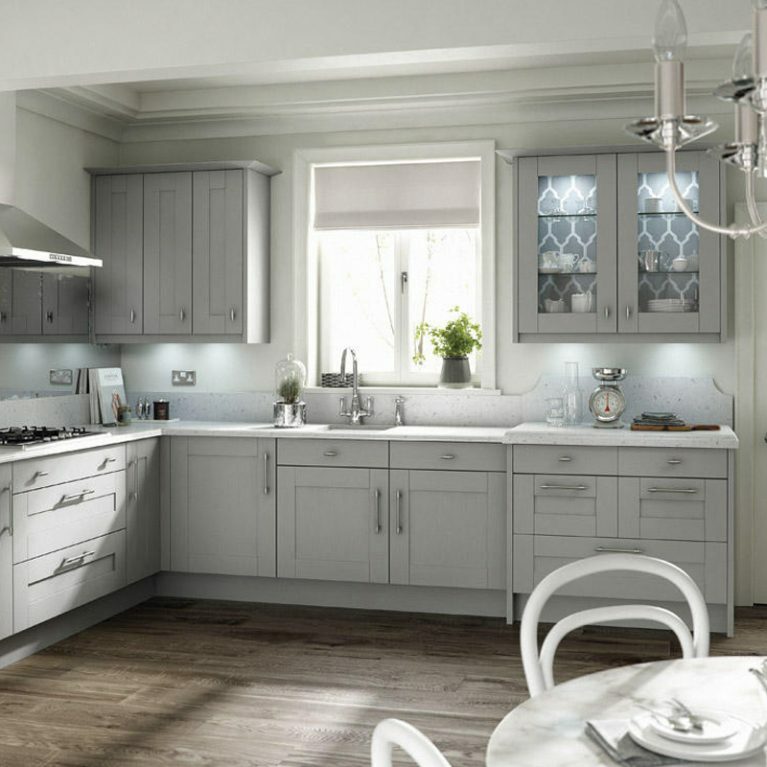 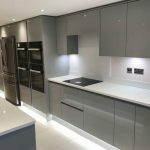 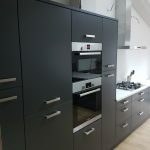 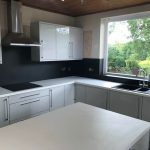 Finished with silver handles, each of the cupboards are incredibly easy to access, with the silver finish adding a modern pop against the stone shade of your broadoak kitchen. 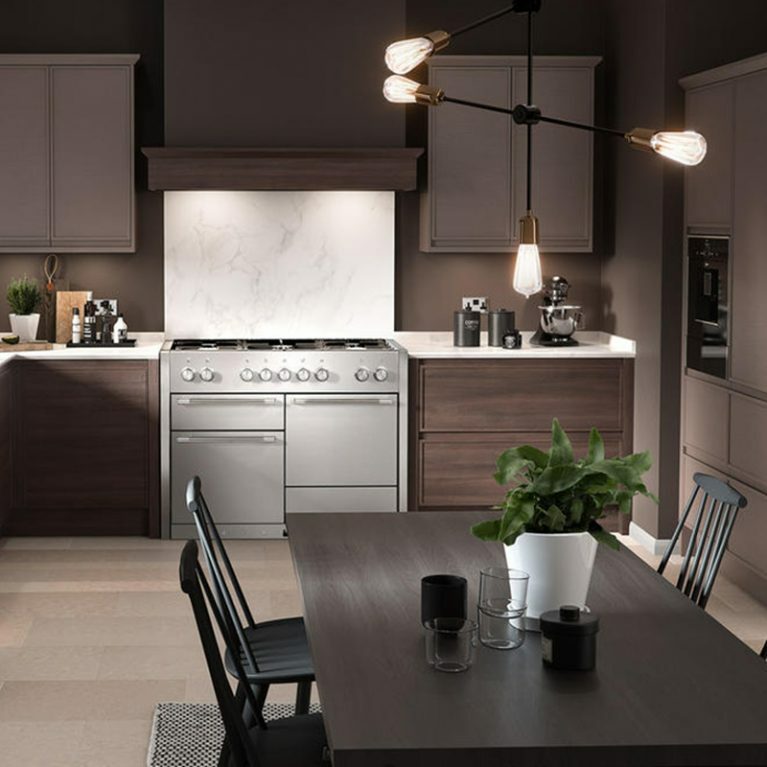 There’s a chrome rounded industrial-style faucet and built-in sink section, as well as plenty of space for your oven appliances.The spacious kitchen offers plenty of surface space for entertaining and food preparation. 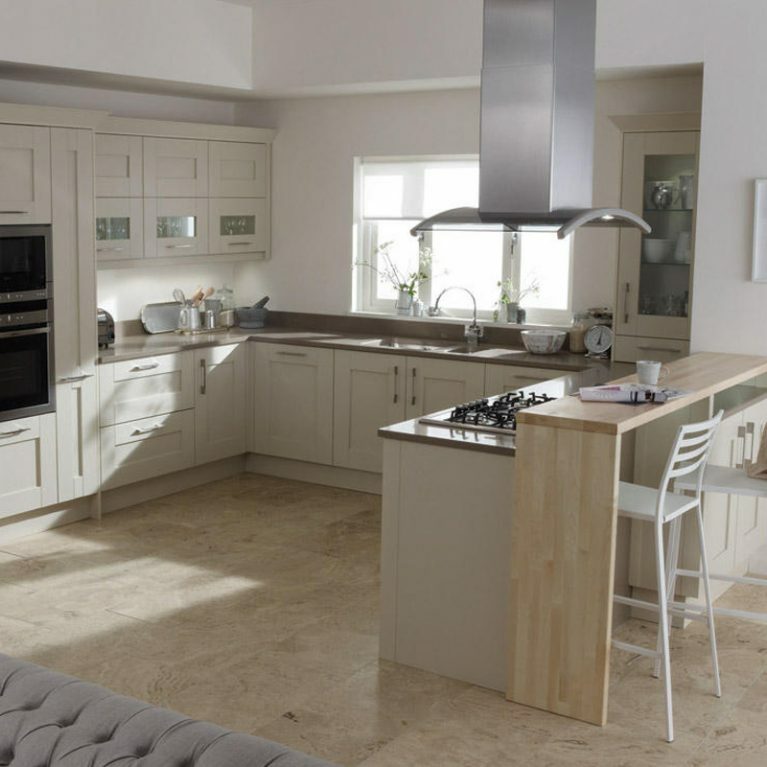 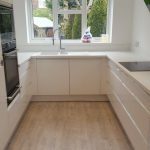 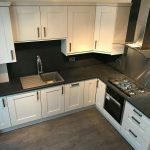 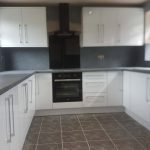 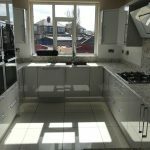 Whether you want an elaborate kitchen design or something compact and concise, the Broadoak Stone is the perfect foundation for transforming your home.